A box of tissues quickly made its way around those gathered in the lobby outside the diagnostic imaging department at the Colchester-East Hants Health Centre. Jenna Delaney’s friends and family members wiped away tear after tear that fell as they listened to stories about the late woman. 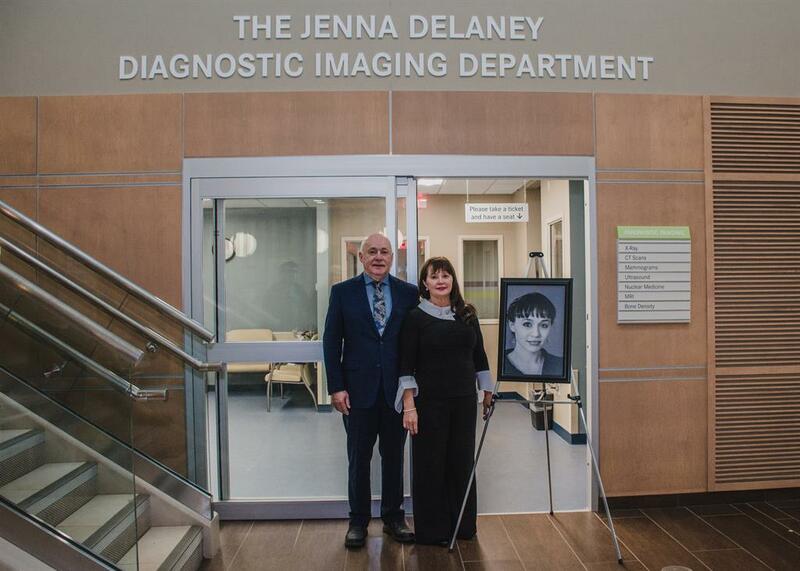 Her family, including mother, Jean, and father, Brian, made a significant donation to the health centre’s foundation and the department now bears Jenna’s name. Members of Jenna’s family travelled from throughout Canada to attend the ceremony, many of whom also made a financial contribution after Jean and Brian made theirs. With a framed black and white photo of Jenna off to Brian’s right, he said his daughter went almost two years without a diagnosis. When she was finally diagnosed at the age of 12 and began undergoing treatment, there was a piece of equipment not working. “There may have been a different outcome otherwise,” said Brian. Ed MacDonald, the foundation’s board of directors chairman, knew Jenna and said he was “stunned” when he heard the Delaney family wanted to make such a contribution. At first, there was no name attached to the donation, at the family’s request. “When that happens, we never have the experience or the joy of ability to thank the family for their donation,” said MacDonald, whose children knew Jenna through schooling and figure skating. During her time in palliative care, Jenna made decision after decision.